Family farms: What if no one wants to carry on the legacy? “Who’s going to take over the farm?” is a question all family farms face sooner or later. At the Williamsburg dairy farm where I grew up, the answer is unclear. My parents built Hemenway Hill Farm from the ground up in 1985 on land that had been in my father’s family since the 1840s. Alan and Teresa Everett were the first Everetts to run a commercial dairy farm there, but past generations had used the land as an orchard and a subsistence farm. They also raised three independent daughters who decided one by one to pursue careers off the farm. It’s unlikely my twin, Emily, or I will return to take over. But my older sister, Faith Bisbee, and her husband, Donnie Bisbee, keep cows and draft horses in Chesterfield; it’s possible they will play a role in Hemenway Hill Farm’s future. Some Valley farms are dealing with the same situation as my parents, but there are plenty others that will have no trouble finding a young, energetic son or daughter to take over the family business. 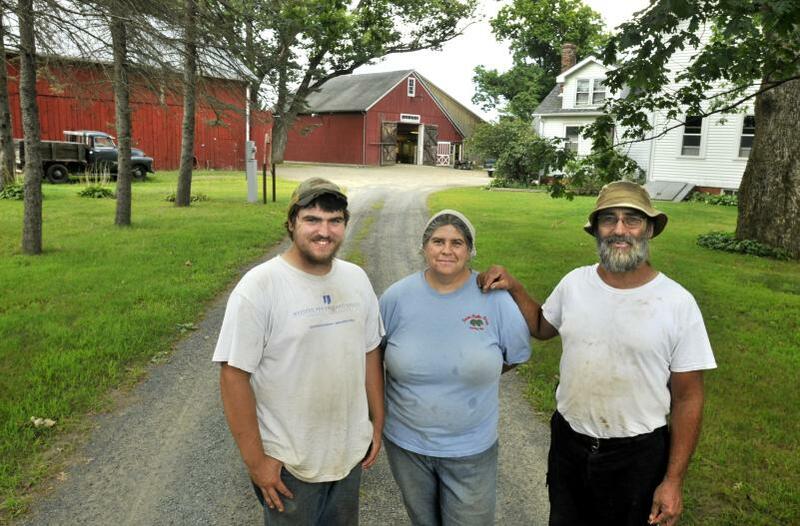 “It’s been my plan since I was in first or second grade,” said Josef Matuszko, 20, who helps run Twin Oaks Farm in Hadley with his parents, Edwin Matuszko and Linda Kingsley. A family farm is an all-hands-on-deck business, a one-of-a-kind home to raise a family and a rewarding place to work alongside loved ones. 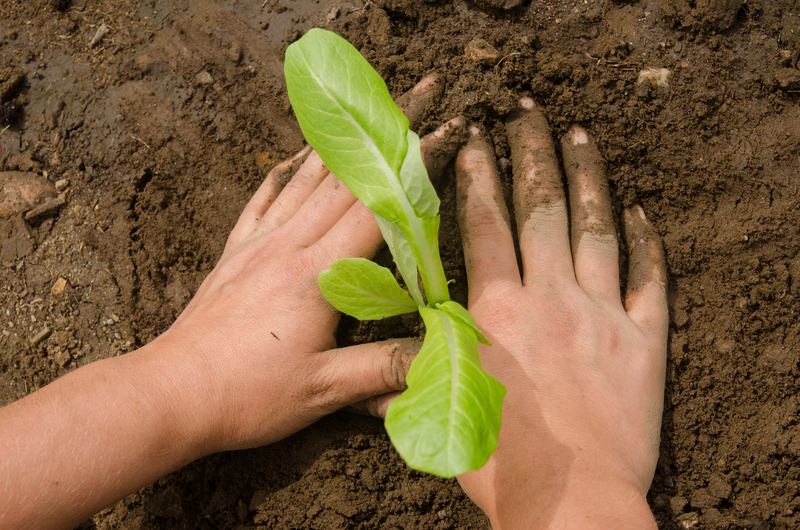 Children who grow up there learn lessons about life, death, and hard work at a young age. That’s according to Darryl Williams, who runs Luther Belden Farm in Hatfield with the help of his wife, Lucinda, and their four children — when they’re home, that is. Family dinners are almost always business meetings. You don’t get to leave for a job where you might also get a little space from each other after a disagreement. And forget about having time for family vacations, or even celebrating every birthday, said Edwin Matuszko. A fairly common enterprise in the Pioneer Valley, the family farm takes different forms: the centuries-old tobacco farm run by a son from each generation, the potato farm where every employee is a relative, or the new organic farm where young people work at farmers markets alongside their parents. In a barn at Twin Oaks Farm last week, the Matuszko and Kingsley family was putting the finishing touches on a picking of summer squash. The washed and sorted squash were packed into cardboard boxes and stacked on pallets. As soon as Edwin Matuszko secured a pallet of boxes with plastic wrap, his son scooped up the pallet with a motorized jack and wheeled it into the walk-in cooler. The farm grows 55 to 60 acres of vegetables, including cabbage, peppers, Indian corn and pumpkins. Most of the produce is sold wholesale through the Pioneer Valley Growers Association, a cooperative the family helped found in South Deerfield in 1978. They also sell a bit to local farmers who want to augment the offerings at their farm stands or at markets. “This is the present incarnation of Twin Oaks Farm,” Edwin Matuszko, 58, said. “I don’t know what it will be later.” Family farms, he said, have to adapt to the times. “It might be totally different when I take over. It depends on the market, the weather, everything,” Josef Matuszko said. Luther Belden Farm has also evolved over the years, Darryl Williams, 53, said. It started as a tobacco and onion farm, morphed into a sheep farm, and has been a dairy farm since the 1960s. Now, the family tends just over 200 cows and farm about 250 acres, mostly to produce hay and corn to feed the cows. Like Matuszko, Williams said he doesn’t know what it will look like in the future. Standing in the yard at the Depot Road farm last week, Williams looked up to see his son, Jackson, 25, drive a tractor back to its parking spot in the yard. He was supposed to be scooping silage into a dump truck to be sold to another farmer, and he shouldn’t have been finished so soon. “The hydraulic line blew on it,” Jackson Williams told his father before scooting off to make do with another, smaller tractor. “It’s a typical day,” Darryl Williams said with a shrug. He and his wife also have three daughters: Rebecca, 27, who lives in West Springfield, and Martha, 21, and Lenette, 18, both of whom live at home when they are not away at colleges in Kentucky and Idaho. Jackson Williams has a degree in biology from Berea College in Kentucky and a year of experience working on a sheep farm in New Zealand. He has been working at the family farm since he moved back a little over a year ago. Anyone who is home is automatically a farm hand, Darryl Williams said. His wife Lucinda, who works as acquisitions supervisor for Smith College’s Neilson Library, often devotes her nights and weekends to the farm. “She bales hay, she’s planted corn,” Darryl Williams said. While growing up, the Williams children knew everyone was expected to help with jobs like feeding calves or haying. There was always a seemingly endless amount of work to do, Jackson Williams said, but it was fun, too. At Twin Oaks Farm, Josef Matuszko has also been helping out for most of his life. But he admits that there are downsides to farm life, too. While friends at school were going to summer camp, or on family beach trips, he was working, and the family was just too busy for some events or activities other kids did. Another thing you need to survive on a family farm is civility, Williams said. Kingsley, 59, said that most of the time, her family gets along. “We enjoy each other’s company,” she said. But as with every family, people at times get on one another’s nerves, especially after a long, hot day or a disagreement over how to do something. “There might be a moment when you’ve got to go wheel harrow,” Edwin Matuszko said with a chuckle, referring to times he’s escaped from a family quarrel under the pretense of doing fieldwork. “Or go check something in the greenhouse … twice,” Kingsley chimed in. Another challenge is, unlike a job where you leave the office at the end of the day, you never really get to leave your work behind when you live on the family farm. “Sometimes, it seems like all we talk about is business,” said Kingsley. She is especially aware of the round-the-clock farm life now, since she retired in February after 34 years working part-time in the Williamsburg Post Office. “But, it’s also nice to get up, go out the door and you’re right on the job site,” she said. At Luther Belden Farm in Hatfield, 13 generations of the same family have tilled the fertile land near the Connecticut River since 1661. In each generation, some siblings may have peeled off to do other work, but at least one stuck around. “My parents are great, they don’t put any pressure on me, but with the farm going for 13 generations, it kind of puts it on itself,” he said. After the earlier generations cropped the land, Jackson Williams great-grandfather, Luther Belden, turned it into a sheep farm. In 1959 Belden’s daughter, Mary, married Gordon Williams, another farm kid who had grown up on Mt. Toby Farm in Sunderland. Gordon Williams studied dairy science at California Polytechnic State University, and when the young family came back to the Valley, Belden told them they ought to just build a dairy barn there and join the family business. Darryl Williams grew up on the farm — primarily a dairy farm then — and couldn’t get the farm life out of his blood. He once thought he wanted to be a teacher and worked in the Amherst schools for one year. He said his parents never pressured him at all about staying on the farm. And if one of his children wants to take over the farm, they may have to consider changing it significantly, he said. Competition from larger farms out West and the rising cost of doing business has driven dozens of Massachusetts dairy farms out of business in the last decade. In July 2011, two dairy farms in Cummington, Howes Family Farm and Joyner Farm, sold off their herds. Now there are about 150 dairy farms in the state. Jackson Williams said he is interested in the farm, but he’s not ready to decide if he will be a career farmer. “It’s something to think about: If I don’t take over the farm, I don’t know who of my siblings would. And seeing the farm go out of business is nothing I’m interested in,” he said. While Twin Oaks Farm isn’t 13 generations old, the Matuszko and Kingsley family is just as interested in keeping the farm in the family. Edwin Matuszko recalled how his grandfather started the farm, growing potatoes, onions and tobacco on the family land. But his father was injured in World War II and it was too hard for him to do the farm work, he said. His parents, Edward and Lucy Matuszko, rented the land out to other farmers, so Edwin Matuszko still got to grow up around the farm life. He and Kingsley met when they were both working for the summer on a now defunct North Amherst farm and married in 1976. None of Edwin Matuszko siblings wanted to work the farm. He worked briefly at Pro-Brush, a toothbrush factory in Florence, before he and Kingsley decided in 1979 to approach his parents about taking over the farm. They started growing pickling cucumbers and have since diversified and expanded, renting 30 acres nearby in addition to the 30 they have on Stockbridge Road. Kingsley said she would love to see her son working the land for decades to come. If no family member steps up to take over the farm, selling the business is sometimes an option, though it’s more common for the farm operations to shut down and the family to rent or sell the land to other farmers. In the case of my family, it’s unlikely some fresh face will want to buy the farm and get into dairy farming — a business that is increasingly hard to make a living in, no matter how many 16-hour days you put into it. While my parents are still hopeful that my sister and her husband will be involved with the farm in the future, they know that might mean making changes to the operation to keep it going. If nobody takes over the farm, that’s OK, too, Teresa Everett said. She and Alan Everett started the farm because it was the career of their dreams. They never had any expectation of how many generations it would last. “It’s been the best experience of our lives to be able to have this career, farm on the family land, raise our daughters here and run the farm as a family,” she said. My parents turn 60 this year and the farm is still going strong, with help from my father’s brother, Glen Everett, and two part-time hired hands. Meanwhile, my nephew, Carson Bisbee, at 2, is already a true farm kid. I’m sure my sister’s second child, 5-month-old Brooke, will be the same. So even if the farm doesn’t live on, at least one more generation of farm kids will trot in the barn with muddy boots and hay in their hair, just like my sisters and I did. Rebecca Everett can be reached at reverett@gazettenet.com. Original Post.